As early as the year 1772, settlers began locating their lands near where Clarksburg now stands, and in 1773 Daniel Davisson took up 400 acres (1.6 km2), upon which the principal part of the town is now located. The year 1774 found the following persons settled in the neighborhood of Clarksburg, Daniel Davisson, Thomas Nutter, Samuel Cottrill, Sotha Hickman, Samuel Beard, Andrew Cottrill, Obadiah Davisson, John Nutter, Matthew Nutter and Amaziah Davisson. There was no doubt that there were others located on public lands of which no official records were made. Clarksburg was formed in 1785 in Virginia. The city is named for General George Rogers Clark, who gained fame on the frontier by his many expeditions against the British and Indians in the Indian Wars and the war of the American Revolution, particularly by his capture of Fort of Vincennes, now in the State of Indiana, in 1778. In 1787, the Virginia General Assembly established the Randolph Academy at Clarksburg, the first such educational institution west of the Alleghenies. Construction of the first courthouse began in 1787. That building was followed by four increasingly larger courthouses, the most recent one completed in 1932. The first Court House, stood on what is now the North East Corner of Second and Main Streets and the jail stood on the opposite side of Main Street near where the Presbyterian church now stands. In 1840 a daily line of stages and a regular mail service was established that connected with the Ohio River steamers at Parkersburg. Telephone service, the first in the state, began in Clarksburg in the mid-1880s. In 1887, the city laid its first six miles of water lines; downtown streets were lit by electricity in 1889. In 1900, the first sewer lines were installed, Main and Pike streets were paved with brick, and the city’s first trolley tracks were laid. In August 1931, Harry Powers, the ‘‘Bluebeard of Quiet Dell,’’ was charged with killing Dorothy Lemke of Massachusetts and Asta Eicher and her three children of Illinois. The bodies were found at Powers’s home in Quiet Dell, near Clarksburg. The sensational story of a serial killer attracted so much attention that Powers’s trial was held at the Moore's Opera House in Clarksburg to accommodate the crowd of spectators. Powers was tried and convicted of Lemke’s murder and sentenced to death by hanging. On October 11, 1996, seven men having connections with the Mountaineer Militia, a local anti-government paramilitary group, were arrested on charges of plotting to blow up the Federal Bureau of Investigation's Criminal Justice Information Services Division complex in Clarksburg. While members of the group had been assembling large quantities of explosives and blasting caps, militia leader Floyd Raymond Looker obtained blueprints of the FBI facility from a Clarksburg firefighter. Plastic explosives were confiscated by law enforcement officials at five locations in West Virginia, Pennsylvania, and Ohio. Looker was taken into custody after arranging to sell the blueprints for $50,000 to an undercover FBI agent, whom he believed to be a representative of an international terrorist group. In 1998 Looker was sentenced to 18 years in prison. Two other defendants were sentenced on explosives charges, and the firefighter drew a year in prison for providing blueprints. On June 29, 2012, a violent storm, called a derecho, raced across West Virginia, leaving downed trees and damaged homes in its wake. A derecho (pronounced "deh-REY-cho") is a widespread wind storm that is associated with a band of rapidly moving storms. An American scientist first used the Spanish term in 1888 to describe this kind of weather event, but most West Virginians were unfamiliar with it until the 2012 derecho came and went. The storm formed in Illinois about 11 a.m., then traveled east. It reached West Virginia at about 6 p.m. and moved across the state at about 70 miles per hour. The storm brought some rain, but it was the wind that proved the most damaging. Wind speeds reached 78 miles per hour in Charleston, 66 miles per hour in Clarksburg, and 68 miles per hour in Beckley. The storm did widespread damage in the state. The strong winds blew down trees, which took power lines with them. About 688,000 homes and businesses lost electricity in the derecho, and a series of storms in the following week knocked out power to additional residents. It took more than a week to restore power to many residents. Some residents lost water, cable, and Internet service, as well. The storm came at a time when the state was experiencing a heat wave, with temperatures over 100 degrees on some days. Health officials in West Virginia attributed the deaths of three people to the storm. The last time a derecho had been recorded in West Virginia was 1991. Early 20th century Clarksburg boasted eight banks, three hospitals, and several fine hotels, including the elegant seven-story Waldo, which opened in 1909. The seven-story Empire Bank building went up in 1907, the nine-story Goff Building in 1911, and the 10-story Union Bank in 1912. In 1975, Clarksburg opened a new public library designed by Marcel Breuer, adding another distinctive element to its architecturally rich downtown. The city has a daily newspaper, The Exponent Telegram, three local television stations, and six radio stations. Clarksburg is home to Eastpointe and Newpointe, the largest strip mall in West Virginia, adjacent to Interstate 79. Most of Clarksburg's retail has relocated to the strip malls, and downtown is now home to many professional services. The Akro Agate Company of Clarksburg was a world leader in manufacturing glass marbles. Organized in Akron, Ohio, in 1911 the firm relocated to Clarksburg in 1914 because of the availability of glass sand and cheap natural gas for fuel. The Chinese checkers craze of the 1930s and ’40s helped make the marbles very profitable, with more than 2,000,000 made per week. Beginning in the 1930s a line of pressed glass vases, floral ware, and colorful glass containers was produced. Miniature glass children’s dishes, including tea pots, cups, saucers, and other pieces, were sold as inexpensively boxed sets when World War II limited the availability of metal for toys. The marbles and multicolored pressed articles in similar hues are sought by collectors today. Pressed products can sometimes be identified by the trademark of the letter A with a crow flying through it. The firm, located off South Chestnut Street, ceased production in 1951. Hazel-Atlas Glass Company, the glassmaking giant in a state known for glass production, was created in 1902 by the merger of four earlier companies. The largest glass company in the United States from the 1930s until the 1950s, Hazel Atlas was a major producer of inexpensive ‘‘depression glass’’ table sets of pink, green, blue, colorless, and black glass. Hundreds of thousands of glass premiums given away in oats, coffee, and other products were made by Hazel Atlas. In July 1995, the Federal Bureau of Investigation completed construction on its Criminal Justice Information Services Division complex in Clarksburg. The $200 million complex, located on 986 acres, is the national repository for the FBI’s law enforcement records. The project came about through the efforts of Senator Robert C. Byrd. In 1990, in Byrd’s second year as head of the Senate Appropriations Committee, the senator worked to fund the center and get it built in West Virginia, not Washington. Clarksburg is located at 39°16′53″N 80°21′05″W﻿ / ﻿39.2813, -80.3514, along the West Fork River and Elk Creek. According to the United States Census Bureau, the city has a total area of 9.74 square miles (25.23 km2), all of it land. 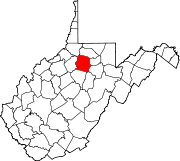 Clarksburg is located in West Virginia's North-Central region. It lies within the ecoregion of the Western Allegheny Plateau. Clarksburg is located at the junction of U.S. 50 and U.S. 19, two miles west of the junction of U.S. 50 with Interstate 79. The city lies at an elevation of 1,007 feet at the junction of Elk Creek and the West Fork River of the Monongahela River. Clarksburg is at the crossroads of U.S. Route 50 (Corridor D), the main arterial route for Clarksburg, and Interstate 79. Other major highways include West Virginia Route 20, West Virginia Route 58, U.S. Route 19, and West Virginia Route 98. The Northwestern Turnpike, now known as U.S. Route 50, chartered in 1827, and began in 1831, reached Clarksburg in 1836 and was macadamized from the Tygarts Valley River to Parkersburg in 1848. The Baltimore and Ohio Railroad reached Clarksburg from Grafton in 1856. As of the census of 2010, there were 16,578 people, 7,213 households, and 4,179 families residing in the city. The population density was 1,702.1 inhabitants per square mile (657.2 /km2). There were 8,132 housing units at an average density of 834.9 per square mile (322.4 /km2). The racial makeup of the city was 92.9% White, 3.9% African American, 0.2% Native American, 0.3% Asian, 0.3% from other races, and 2.4% from two or more races. Hispanic or Latino of any race were 1.6% of the population. There were 7,213 households of which 28.5% had children under the age of 18 living with them, 38.0% were married couples living together, 14.7% had a female householder with no husband present, 5.2% had a male householder with no wife present, and 42.1% were non-families. 35.3% of all households were made up of individuals and 14.6% had someone living alone who was 65 years of age or older. The average household size was 2.25 and the average family size was 2.91. The median age in the city was 39.5 years. 21.9% of residents were under the age of 18; 7.9% were between the ages of 18 and 24; 26.8% were from 25 to 44; 27.1% were from 45 to 64; and 16.3% were 65 years of age or older. The gender makeup of the city was 48.0% male and 52.0% female. As of the census of 2000, there were 16,743 people, 7,447 households, and 4,378 families residing in the city. The population density was 1,758.3 people per square mile (679.0/km2). There were 8,662 housing units at an average density of 909.7 per square mile (351.3/km2). The racial makeup of the city was 93.86% White, 3.83% African American, 0.13% Native American, 0.36% Asian, 0.05% Pacific Islander, 0.44% from other races, and 1.34% from two or more races. Hispanic or Latino were 1.06% of the population. There were 7,447 households out of which 25.0% had children under the age of 18 living with them, 41.6% were married couples living together, 13.4% had a female householder with no husband present, and 41.2% were non-families. 36.7% of all households were made up of individuals and 17.3% had someone living alone who was 65 years of age or older. The average household size was 2.20 and the average family size was 2.87. In the city the population was spread out with 21.1% under the age of 18, 8.3% from 18 to 24, 27.3% from 25 to 44, 22.7% from 45 to 64, and 20.7% who were 65 years of age or older. The median age was 40 years. For every 100 females there were 86.2 males. For every 100 females age 18 and over, there were 81.6 males. The median income for a household in the city was $27,722, and the median income for a family was $35,075. Males had a median income of $30,194 versus $22,388 for females. The per capita income for the city was $17,587. About 14.8% of families and 19.8% of the population were below the poverty line, including 28.5% of those under age 18 and 11.9% of those age 65 or over. Clarksburg is a cultural center of the north-central West Virginia region and hosts many events and festivals. Since 1979 Clarksburg has hosted the annual West Virginia Italian Heritage Festival held during Labor Day weekend. Every September since 1991 the city has been the site of the West Virginia Black Heritage Festival. Since 2006 Clarksburg has hosted the annual Glen Elk Wine, Music and Arts festival. Since 1997 Clarksburg has also hosted the Greater Clarksburg 10K race, the official WV 10K State Championship. In 2007 the race was renamed the Jarvis Greater Clarksburg 10K. The climate in this area is characterized by relatively high temperatures and evenly distributed precipitation throughout the year. According to the Köppen Climate Classification system, Clarksburg has a Humid subtropical climate, abbreviated "Cfa" on climate maps. 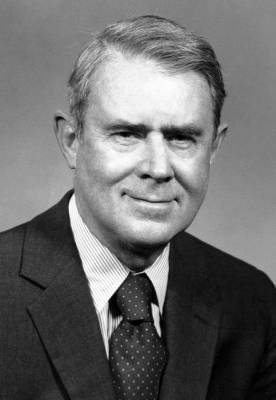 John S. Carlile: American merchant, lawyer, and politician, including a United States Senator. Jimbo Fisher: head coach of the Florida State Seminoles football team. William S. Haymond US House of Representative, representing Indiana. Civil War surgeon in the Union Army. Porter Jarvis, President of Swift & Company, Chicago. John David Jamerson: Standout NCAA basketball player for Ohio University and NBA player selected by the Miami Heat in the 1st round (15th overall) of the 1990 NBA Draft. Sherilyn Wolter: actress who has appeared television soap operas. ^ a b "US Gazetteer files 2010". United States Census Bureau. http://www.census.gov/geo/www/gazetteer/files/Gaz_places_national.txt. Retrieved January 24, 2013. ^ a b "American FactFinder". United States Census Bureau. http://factfinder2.census.gov/faces/nav/jsf/pages/index.xhtml. Retrieved January 24, 2013. ^ a b "Population Estimates". United States Census Bureau. http://www.census.gov/popest/data/cities/totals/2014/SUB-EST2014-3.html. Retrieved June 19, 2015. ^ a b "History of Clarksburg, WV". Genealogytrails.com. April 10, 2008. http://genealogytrails.com/wva/harrison/clarksburg.html. Retrieved June 2, 2011. ^  Archived February 5, 2007 at the Wayback Machine. ^ "Special Report #1: The Mountaineer Militia's Long, Slippery Slope". Adl.org. October 21, 1996. http://www.adl.org/mwd/mountain.asp. Retrieved June 3, 2011. ^ West Virginia Atlas & Gazetteer. DeLorme. 1997. p. 25. ISBN 0-89933-246-3. ^ "Level III Ecoregions of West Virginia". U.S. Environmental Protection Agency. http://www.hort.purdue.edu/newcrop/cropmap/wvirginia/maps/WVeco3.html. Retrieved September 29, 2013. ^ United States Census Bureau. "Census of Population and Housing". http://www.census.gov/prod/www/decennial.html. Retrieved August 27, 2013. ^ "Weatherbase.com". Weatherbase. 2013. http://www.weatherbase.com/weather/weather.php3?s=76637&cityname=Clarksburg-West-Virginia. Retrieved on September 15, 2013. ^ "LEWIS, Charles Swearinger, (1821 - 1878)". Biographical Directory of the United States Congress. http://bioguide.congress.gov/scripts/biodisplay.pl?index=L000275. Retrieved December 21, 2012. Wikivoyage has a travel guide for Clarksburg (West Virginia). This page uses content from the English language Wikipedia. The original content was at Clarksburg, West Virginia. The list of authors can be seen in the page history. As with this Familypedia wiki, the content of Wikipedia is available under the Creative Commons License.